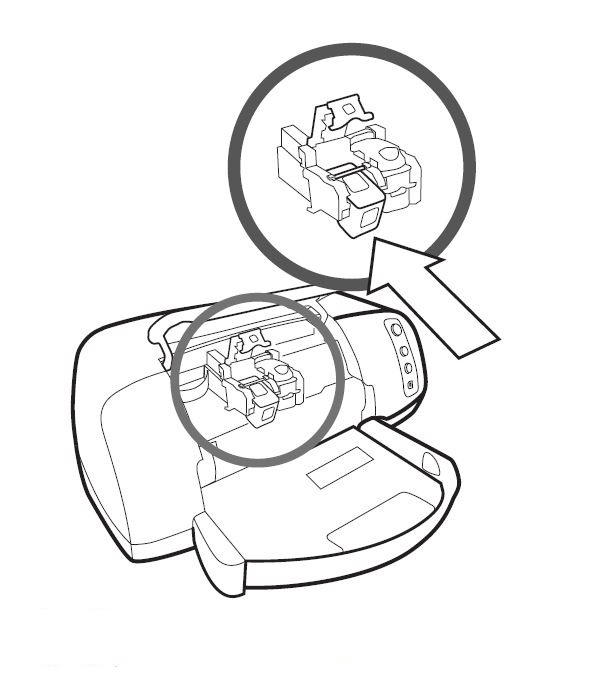 Use the Reserve Mode (ink-backup mode) to operate the HP Photosmart 7150 series Printer with only one ink cartridge. 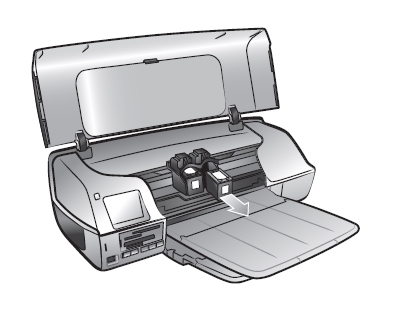 The ink-backup mode is initiated when an ink cartridge is removed from the print cartridge cradle. Printing in ink-backup mode slows the printer and affects the quality of printouts. We do not recommend using a photo print cartridge for ink-backup mode. Which ink cartridges do I need for my HP Photosmart 7150 series Printer? For your US, European and UK HP Photosmart 7150 series Printer you need HP 56 Black OR HP 15 Black AND HP 57 Tri-color cartridges. There are also 2-Packs available, like the HP 56 / 57 Black and Tri-Color Original Value Pack Combo . You might also find Economy (Small) versions of the HP 56 and 57 cartridges. Quality color photos: For more vibrant colors when printing color photographs or other special documents, remove the black print cartridge and install a HP 58 Photo Ink Cartridge. 2. Load plain unused Letter or A4 white paper in the in the IN tray. To do this, you have to lift the OUT tray first. 3. Open the printer top cover. The print cartridge cradle moves to the center of the printer. Wait until the print cartridge is idle and silent before you continue. 4. 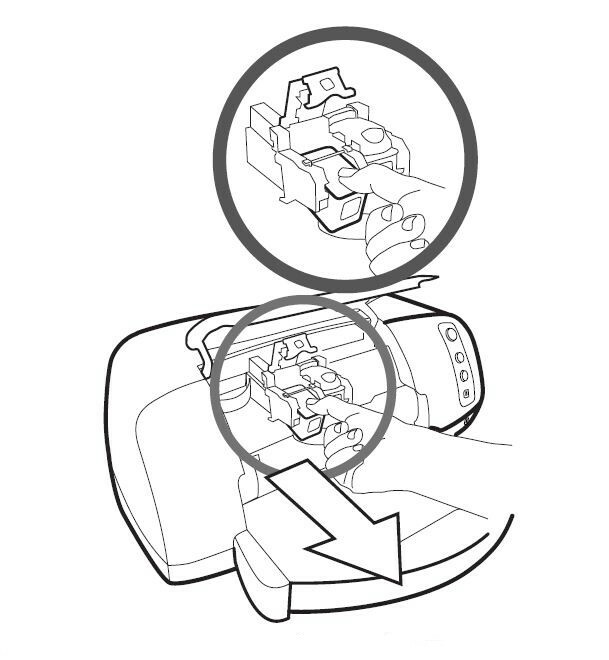 Lift the cradle latch of the print cartridge you want to install or replace by placing your finger under the number on the latch and pulling out. The print cartridge latch will pop open. 5. Slide out the old print cartridge and recycle or discard it. Remove the cartridge from the slot on the left to replace the tri-color cartridge. 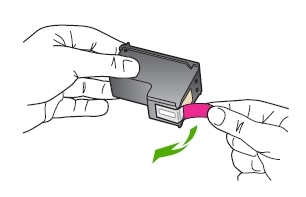 Remove the cartridge from the slot on the right to replace the black OR photo cartridge. 6. Remove the new cartridge from its package. Be careful to touch only the black plastic on the cartridge. 7. Carefully remove the plastic tape using the pink pull tab. 8. 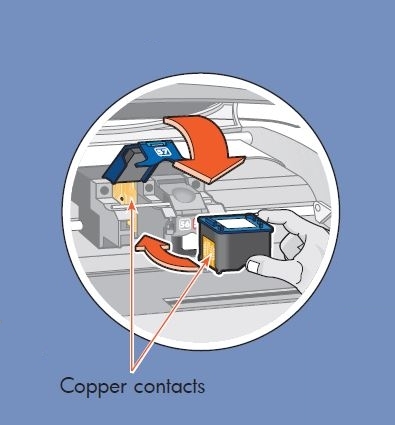 Hold the print cartridge so that the copper contacts will go into the printer first. Line up the ridges on the left and right sides of the top of the print cartridge with the grooves on the inside of the print cartridge cradle. Carefully slide the print cartridge into the cradle, then firmly push the cartridge in until it stops. 8. Lower the cradle latch. Place your finger on the top of the latch. Place your thumb under the number on the latch and hold it forward while pushing the latch down. 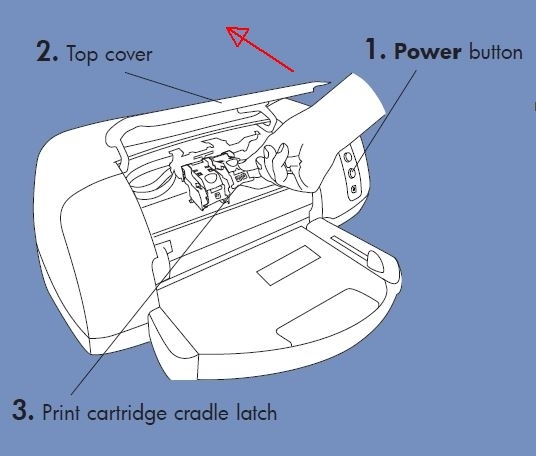 Release the latch to lock the print cartridge into place. 9. Repeat step 4 to 7 to replace the other cartridge, if necessary. 10. Close the top cover. 11. Wait while the printer performs internal diagnostics. After two minutes, a calibration page prints automatically. This verifies that the print cartridges are installed correctly. If colors are misaligned, or if the alignment page does not print correctly when you install a new print cartridge, use the following procedure to calibrate the printer manually. – Click Calibrate the Printer. 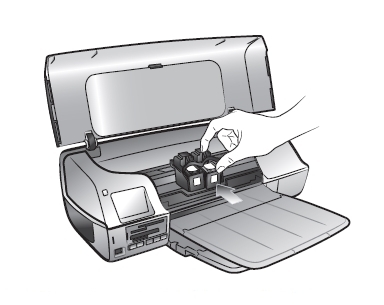 Use the ink-backup mode to operate the HP Photosmart 7260 series Printer with only one ink cartridge. 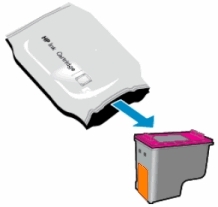 The ink-backup mode is initiated when an ink cartridge is removed from the print cartridge cradle. Printing in ink-backup mode slows the printer and affects the quality of printouts. We do not recommend using a photo print cartridge for ink-backup mode. 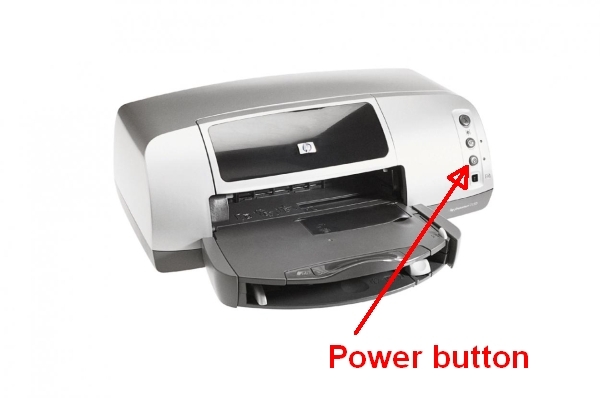 Which ink cartridges do I need for my HP Photosmart 7260 series Printer? For your US, European and UK HP Photosmart 7260 series Printer you need HP 56 Black OR HP 15 Black AND HP 57 Tri-color cartridges. 2. Load plain unused Letter or A4 white paper in the input tray. 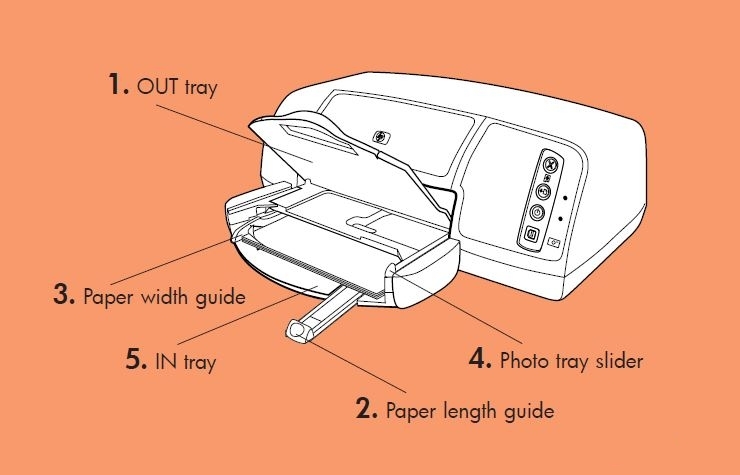 Note: The photo cassette must NOT be installed when printing on paper loaded in the In tray. 3. Open the printer top cover. Wait until the print cartridge is idle and silent before you continue. 4. Lightly press down on one of the old cartridges to release it, and then pull the cartridge toward you out of its slot. Set it aside for recycling. Remove the cartridge from the slot on the left to replace the tri-color cartridge. Remove the cartridge from the slot on the right to replace the black OR photo cartridge. 7. Hold the cartridge by its sides with the label on top and the nozzles toward the printer, and then insert the cartridge into its slot at a slight upward angle. The tri-color cartridge goes in the slot on the left, and the black OR photo cartridge goes in the slot on the right. 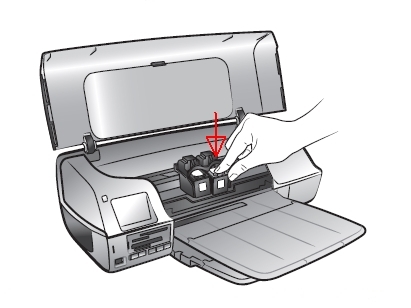 Push the ink cartridge forward into its slot until it snaps into place. 8. Repeat step 4 to 7 to replace the other cartridge, if necessary. 9. Close the top cover. – From the Devices Services tab on the HP Photosmart Series Toolbox, click Calibrate the Device. The Align the Print Cartridges screen appears. – Click Calibrate. Your printer will print a calibration page with seven sets of alignment patterns. The Align the Print Cartridges screen reappears asking you to review the alignment patterns and select the best alignment and color calibration for your printer. – Follow the onscreen instructions, and use the ◄ or ► buttons to make your selections. Determine the appropriate selections from the printed page. – Click Continue. 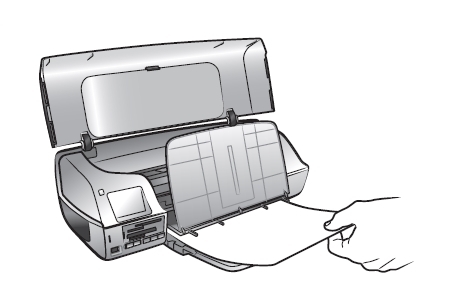 Your printer prints a second page, and the Align the Print Cartridges screen reappears. 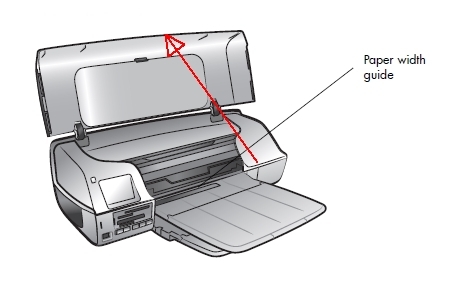 – Follow the onscreen instructions to complete the print cartridge calibration.